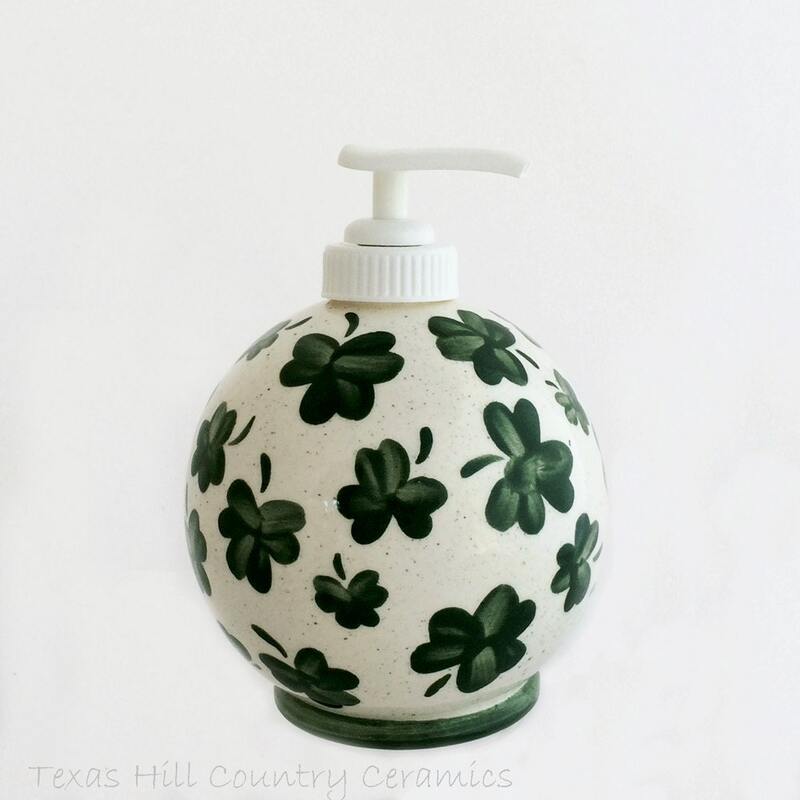 This ceramic soap dispenser is a round sphere decorated with hand painted kelly green shamrocks and perfect for St. Patrick’s Day decorating. 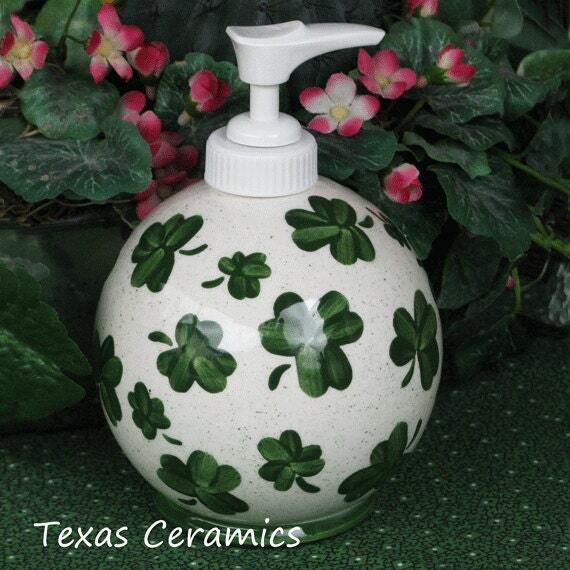 This round sphere pump dispenser bottle is made of domestic ceramics and glazed with lead free glaze. • 4 inches in diameter. The inside of the bottle has been glazed, this step helps to keep your dispenser in pristine condition for years to come. A white plastic pump unit is included. 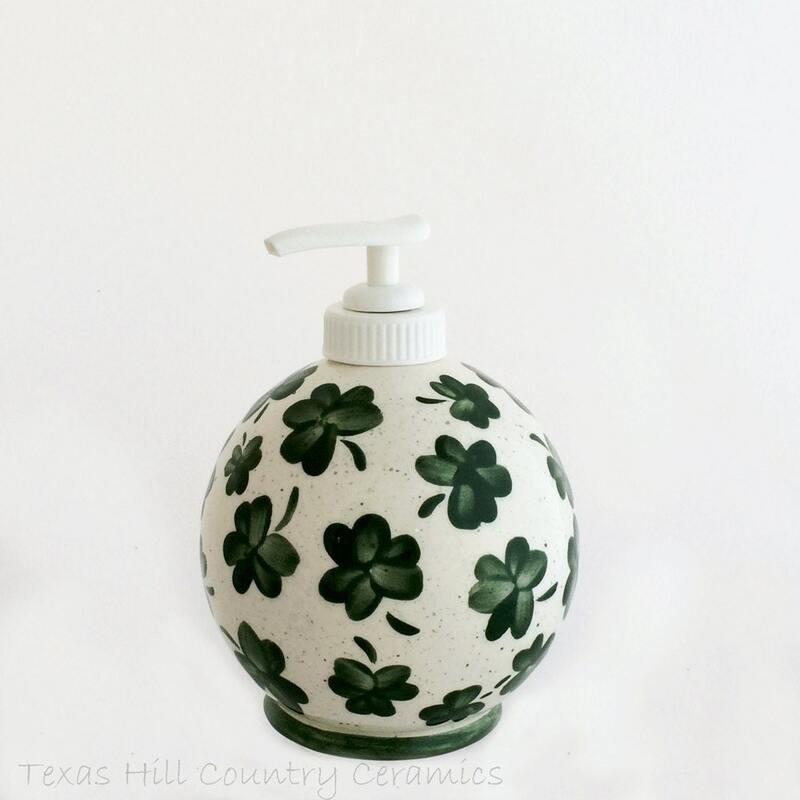 Each lotion dispenser is made of slip cast ceramics for uniformity. This dispenser is cast in my studio located in central Texas and fired in my kiln. 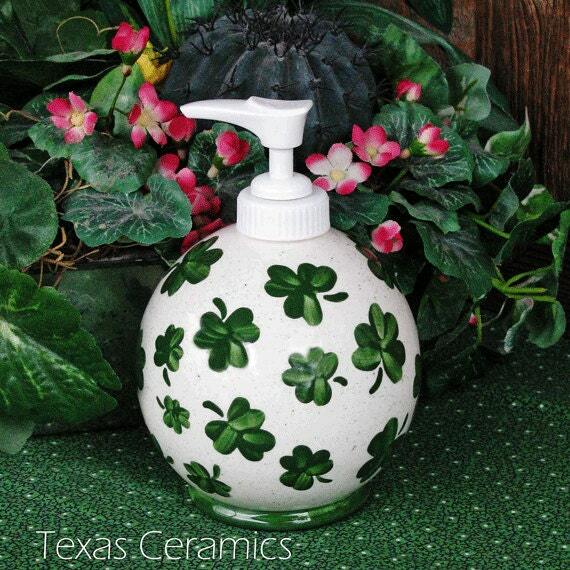 All underglaze and glaze used to make this dispenser is non-toxic and lead free. 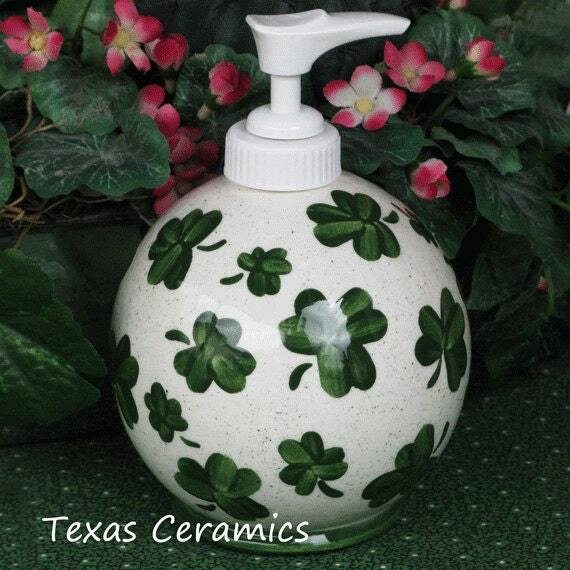 Please keep in mind all dispensers are hand painted so no two are exactly alike. Perfect!!! great work, fast shipping. Very cute design. Also really like that the weight is light. Thank you. I think this is my favorite. Just love this little soap pump. Thank you so much. Your work is wonderful.